Animal lovers rejoice! One of the biggest names in today’s pop art culture and known for his pet portraits, Dean Russo, released a new journal series. 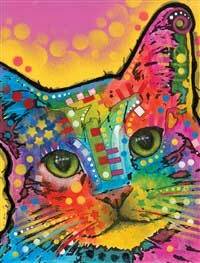 Dean creates vivid paintings that explode with color as soulful and unique as our pet’s personalities. 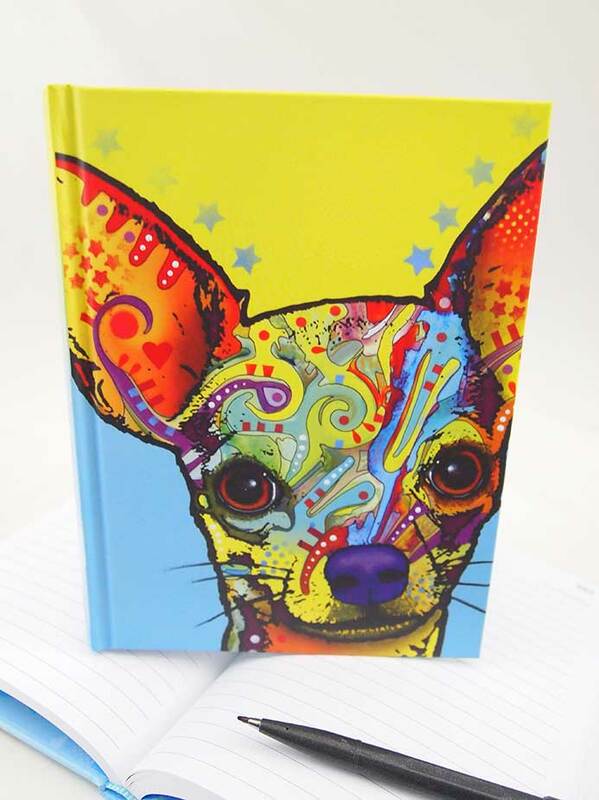 This beautiful hardcover journal features vibrant pit bull cover art from Brooklyn-based pop artist Dean Russo. Dean’s whimsical cat notebook makes the purrfect gift for the crazy cat lover in your life. This quirky feline friend is waiting for you to add your own personality to this diary. 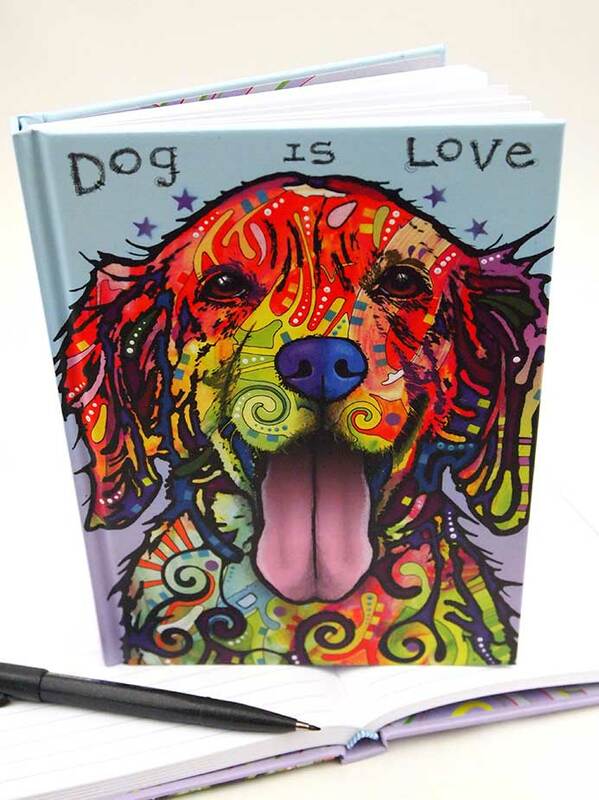 Stare into the mesmerizing eyes of this charming lab dog notebook. This sweet face is just begging to go home with you. 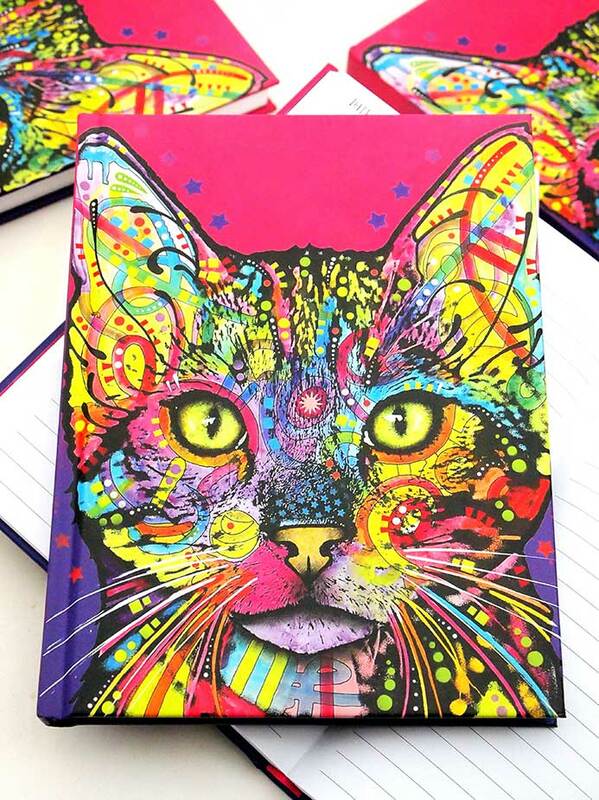 The Shiva Cat journal leads the way to your daily adventures, thoughts, writings, journal entries, and notes. Add a pop of color and a little bit of zen to your desk with this vibrant kitten journal. 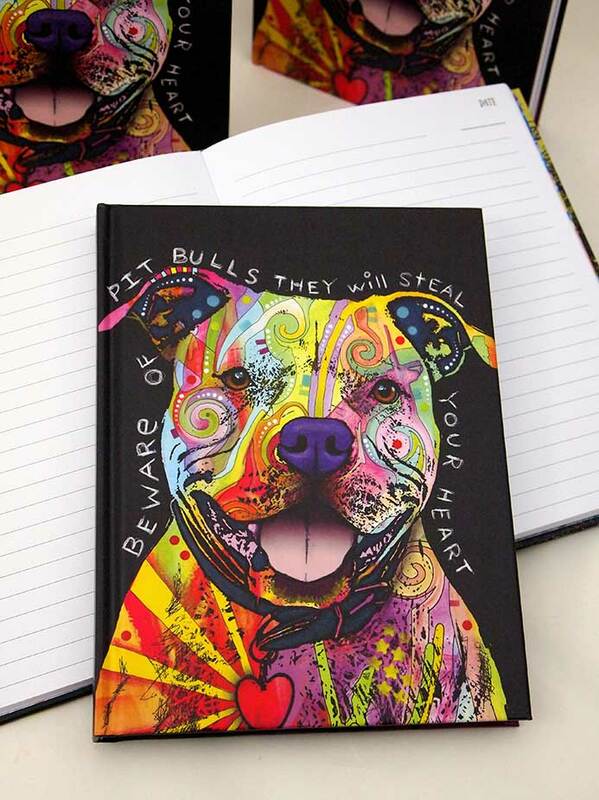 Make a statement with this charismatic Pit Bull journal! 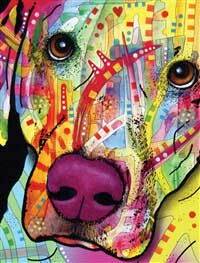 Dean’s vibrant cover art is a tribute to the pit bull, one of the most misunderstood but love-able dog breeds. 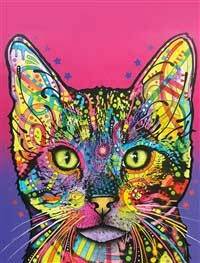 Dean’s Brooklyn upbringing and love of animals strongly influence his art. As an animal advocate, Dean would often visit shelters and ask for photos of adorable pets to paint. He then donated the proceeds from his art back to the shelters. He continues to donate to shelters to this day! Dean believes animal emotions are much deeper than we think. These pet portraits might burst with color but Dean primarily focuses on each animal’s eyes. The eyes are painted, not in neon colors, but true to their natural state to capture the expressiveness of each animal’s personality. 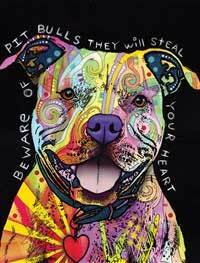 Many of his paintings include inspiring messages such as “beware of pit bulls they will steal your heart” featured on one of the journals in this series. Each painting includes at least 10 mediums including charcoal, pastels, oils, pencils, sharpies, ink, spray paint, acrylic, and wax. Dean’s love of art started in a family that was the prime manufacturer of wooden art products and growing up with the Brooklyn street art surroundings. After his training as a graphic designer, Dean missed the connection with the canvas so he started painting his muses, Montana and Valley, his two love-able pit bulls. This new vibrant journal series features Russo’s iconic cover art and plenty of lined space for creativity of your own. 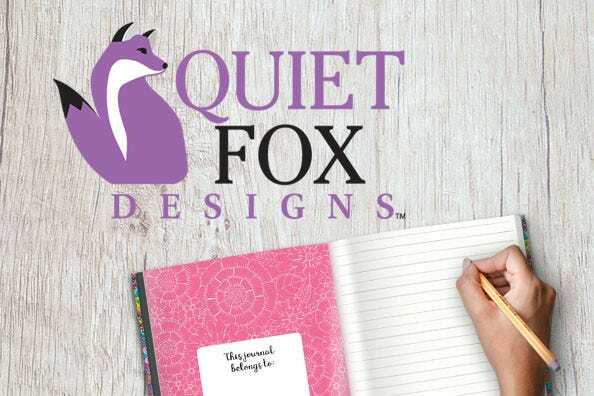 Quiet Fox Designs offers a compete line of Journals featuring themes such as Woodstock, Faith-Based Guided Journals, TangleEasy Journals and Hello Angel Journals that come in lined, unlined and dot journals.